“It looked like just another bug report. “When I start Chromium, it downloads something.” Followed by strange status information that notably included the lines “Microphone: Yes” and “Audio Capture Allowed: Yes”. 2) Yes, Chromium is bypassing the entire source code auditing process by downloading a pre-built black box onto people’s computers. But that’s not something we care about, really. 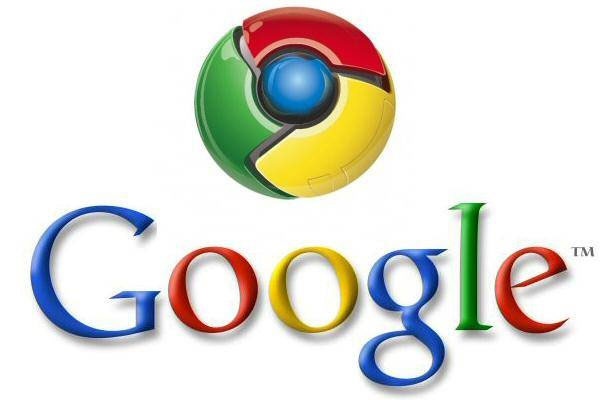 We’re concerned with building Google Chrome, the product from Google. As part of that, we provide the source code for others to package if they like. Anybody who uses our code for their own purpose takes responsibility for it. When this happens in a Debian installation, it is not Google Chrome’s behavior, this is Debian Chromium’s behavior. It’s Debian’s responsibility entirely. The writer describes that “software switches” are no longer enough to protect against this type of eavesdropping, software switches are programs that turn off your webcam/mic etc,. Really, the author feels a physical switch that cuts electrical connection to the device is required to prevent this. It is an odd thing to observe for me, because many people were furious when news of the NSA’s technological trawler of private information became common knowledge. When Google silently attempts to install even more passage ways for your intimate information to be siphoned, not much is said about it. INSANE! Best UFO Sightings Of June 2015 [Breaking News] Share This! 1) Remove all Google Programs from my computer. 2) Note that some other applications will default to loading google programs, thus turn off auto updates on your windows computers. I down load the programs but individually approve them and I don’t accept the extra cookie offers to add google stuff. 3) My older PC workstations don’t have microphones or cameras. >> Maybe that is now a good thing. 5) If you have a Windows PC with a microphone or camera. Navigate to manage devices and disable them / consider removing the software drivers for them. 7) For MACS go onto the ADOBE flash web link and turn off the camera and microphone on the web, but consider that someone remotely could turn them back on. this is done by clicking your settings button, picking Adobe Flash, then click the blue links that take you too the adobe flash web settings. 8) Put 3 layers of postit notes over your cameras even if you think you disabled them. 9) Buy a USB micro phone camera and disable your mac built in devices (i don’t yet know how to actually disable these devices in MAC, but I am working to figure it out). 10) Be careful with google email / account as I found my personal google account had been absorbed by some process from my employer to become a managed corporate account with a layer of passwords on my own personally owned mac. I would surmise that this gave MY corporation control over my personal computers. 11) I had the same conversion to a corporate managed account happen with my personal SKYPE account, where my employer added a SKYPE management account overlay on top of it. 12) I noticed that my computer hard drive light was flickering all the time. My task manager was reporting 50 % to 100% CPU usage at idle. I contacted my Service provider and noted that my Gig of monthly use was up by 50%. 13) Attempts to remove google / skype from my computers resulted in finding various google remanant subsystems. 14 Downloaded Micro Soft Security software which reported 10 more hidden Google services that I could not find a way to delete. 15) I bought new hard drives for both PC and reloaded OS from Discs. 16) I bought a program to report hidden files on my PC (before I replaced the hard drives) and found about 300G of encrypted files that are apparently made by MCAfee when you use the secure delete function (which seems to make massive files that are encrypted but don’t show up as a listed file). I found these files with a program called KERNEL. 17) I removed McAfee and replaced it with norton security and norton utilities. 18) I now use ERASER AND CCleaner to look for file remnants. 19) After 2 months of diligence I have my CPU’s now running at 10% (versus 50 to 100%) and I don’t see the hard drive lights flashing or on constantly. 20) One more observation. When I looked at the IP addresses for my PC when plugged into the ports of the WI-FI routers, those ports do not show that they are behind any firewall. Thus it appears that they are actually unsecured hard wired directly to the internet. I bought new Net Gear WI-FI routers and only have my PC via WI-FI as it does appear that the hard wired switch ports are not secure. 21) I added a NET GEAR firewall switch between my cable modem and 3 wifi routers. I removed the hard wire cables between the PC / Macs and the wifi routers (as the Ip addresses do not appear to be behind firewalls).